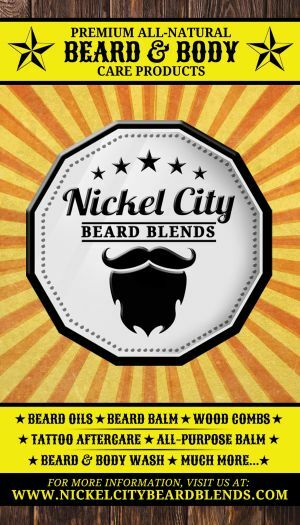 Having warm clothes does make fall and winter more enjoyable but looking stylish is important too! 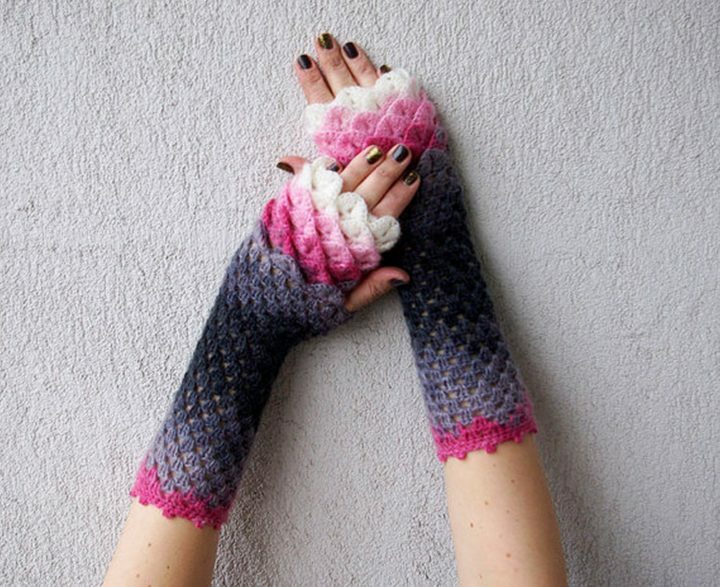 If you crochet or knit, it’s even easier to create warm scarves, gloves, and crochet winter hats. 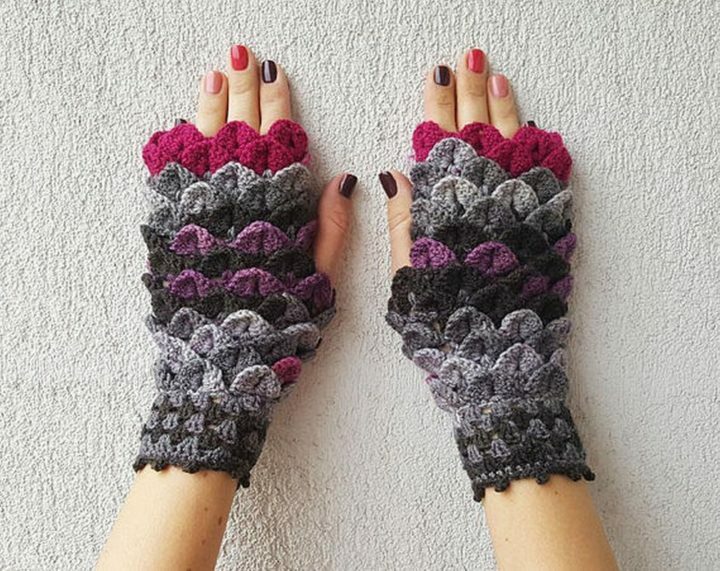 One style of gloves that is popular with fans of fantasy TV programs featuring thrones and dragons are dragon scale gloves. 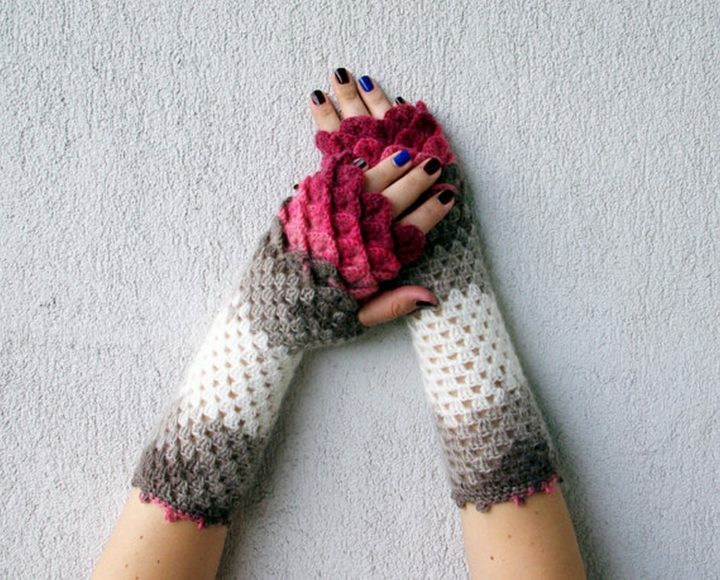 Because of their popularity, there are several DIY articles for making your own DIY crochet dragon scale gloves. 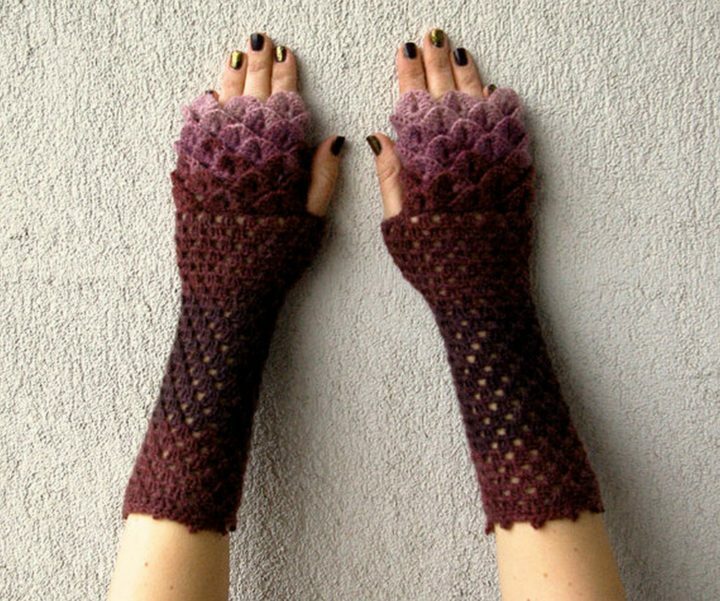 If you don’t crochet or knit, you can also find dragon scale gloves on Etsy and they look beautiful. 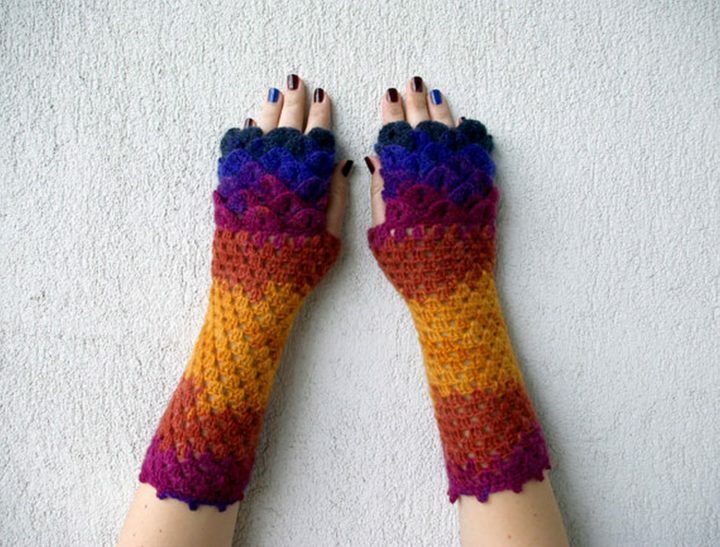 If you love to crochet, this tutorial for dragon scale fingerless gloves allows you to create colorful gloves that are cute and unique. 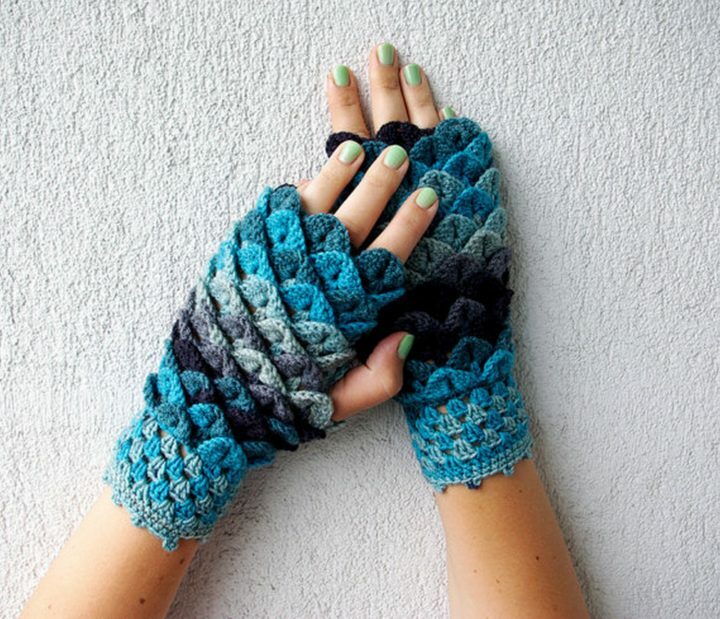 This free diy tutorial from Londie’s Handmade Crochet for creating dragon scale fingerless gloves has step-by-step instructions and looks fairly easy. 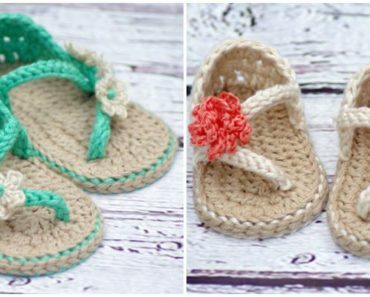 If you can’t crochet though, mareshop, an etsy shop offers several styles in nearly every color imaginable. 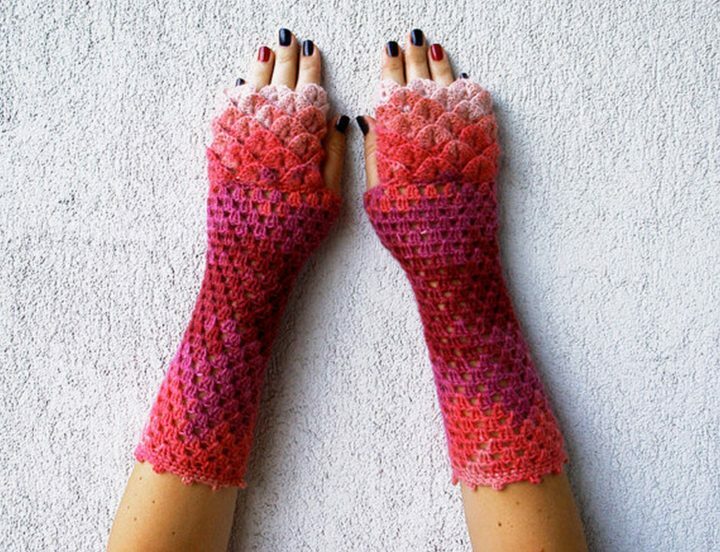 …While leaving your fingertips exposed for texting, taking a selfie, or anytime you need nimble fingers. There are beautiful combinations of colors. 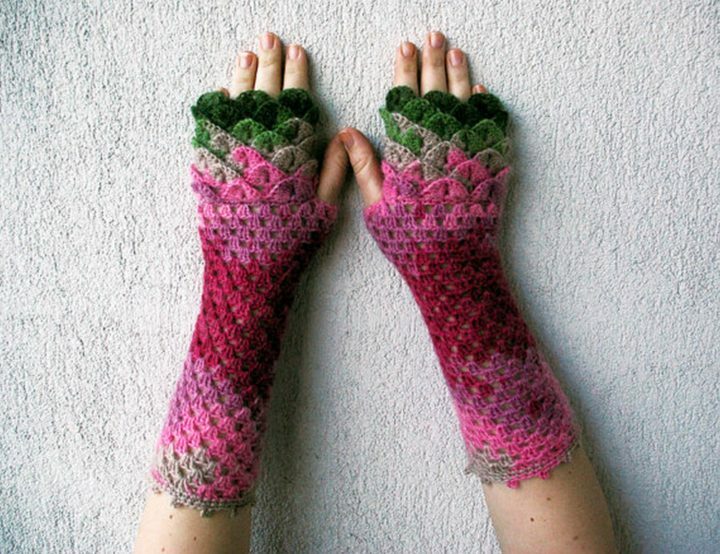 And let’s not forget the eye-catching dragon scale design to cover each hand. 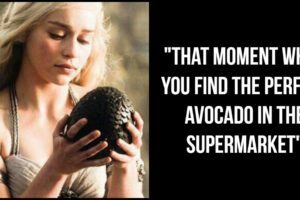 But even if you’re not a fan of a fantasy TV series featuring thrones and dragons, they look great and are practical. 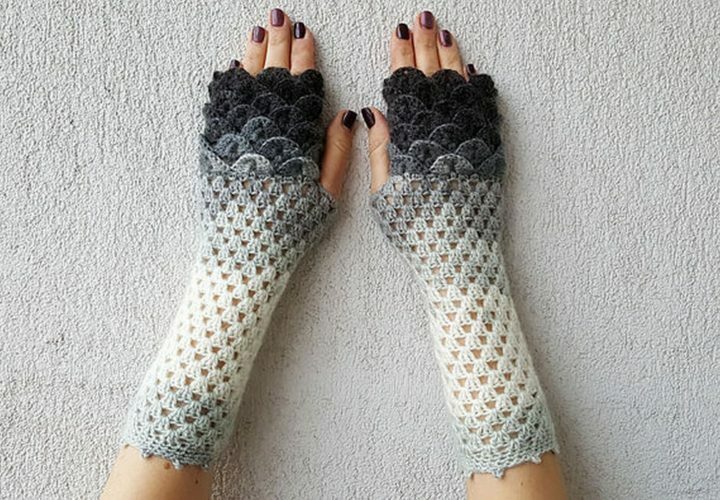 The unique crochet pattern featuring dragon scales feels great too. 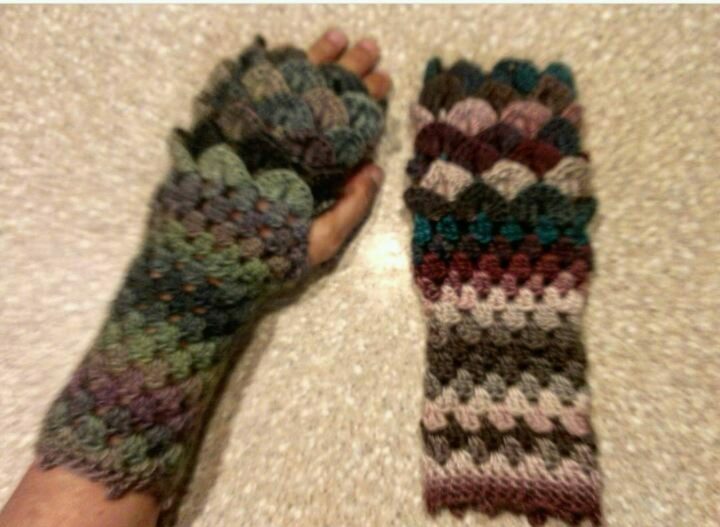 Whether you prefer one color or an array of colors, these dragon scale gloves look great either way. 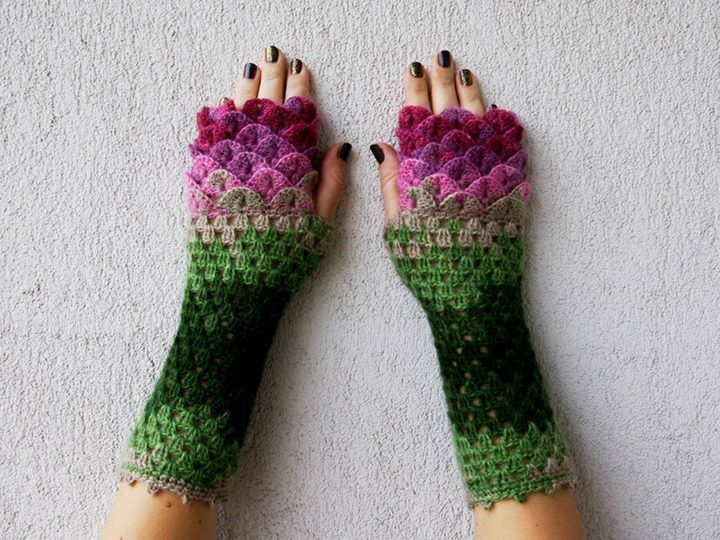 Even though mythical beasts like dragons feature scales, these gloves are also commonly called mermaid gloves. Mermaids are renowned for colors and beauty. 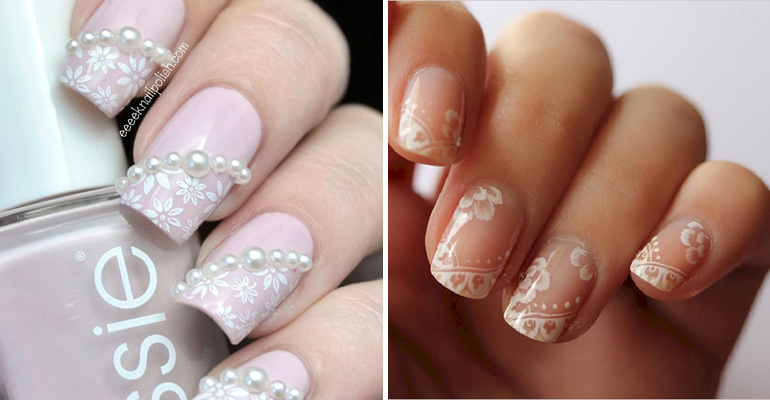 Sometimes less is more and highlighting a neutral color with a splash of color always looks great. 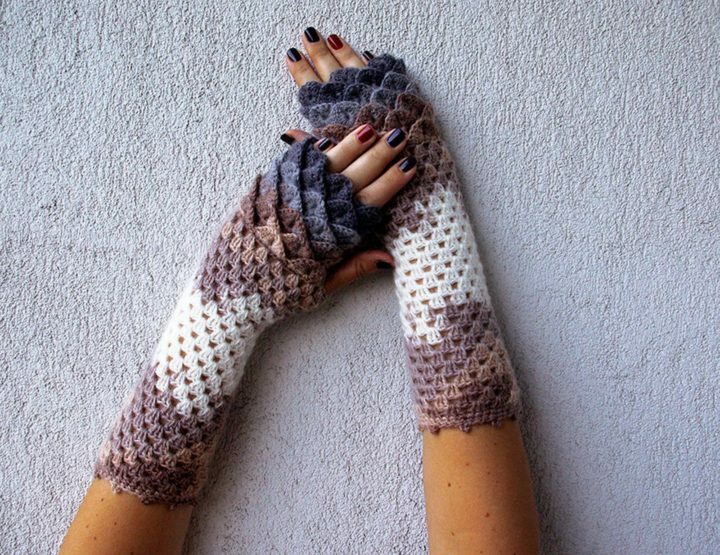 They are the perfect fingerless gloves for fall or early winter. Doesn’t this fiery red design look great? 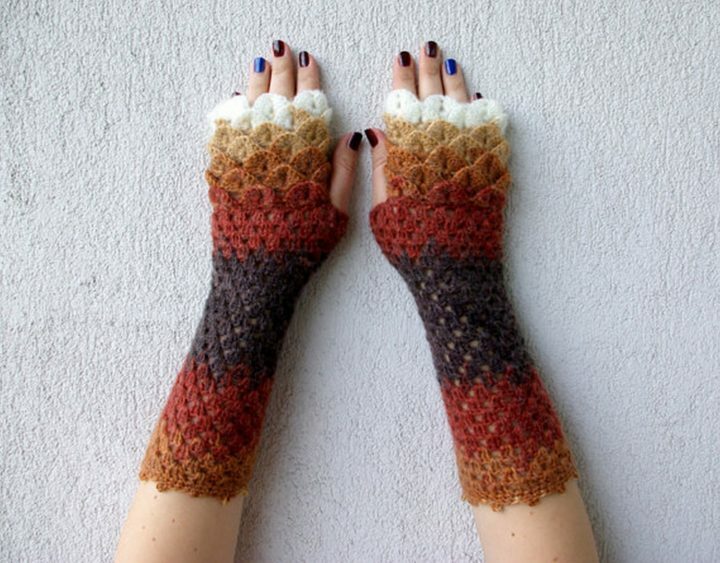 This gorgeous style resembles a forest in autumn. Again, the color possibilities are nearly limitless. 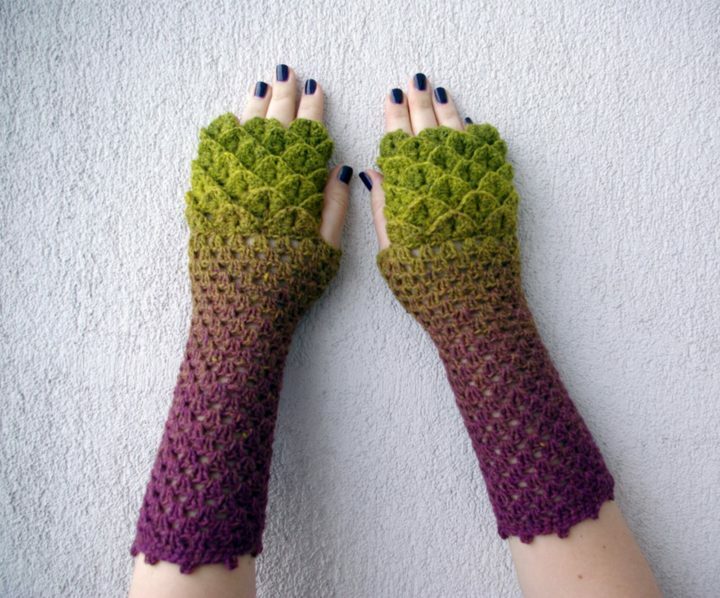 If you prefer shorter gloves that feature more scales, these look gorgeous. 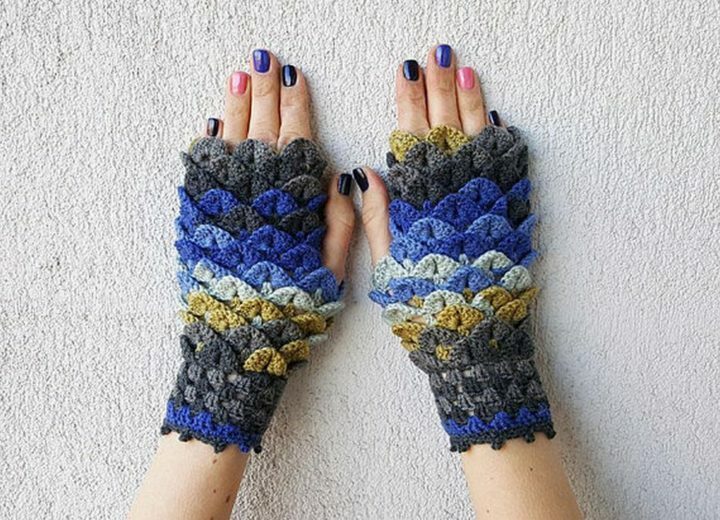 With so many scales, it does make these gloves look amazingly unique. 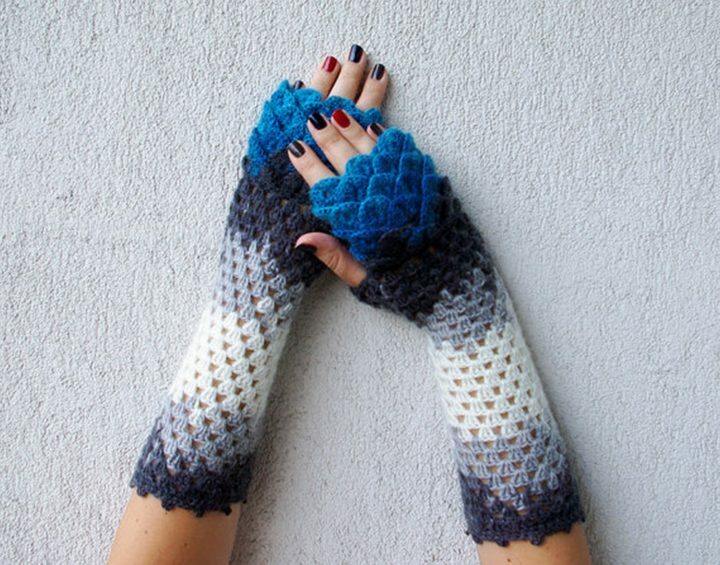 Whatever style you choose, dragon scale gloves are sure to look awesome on you! 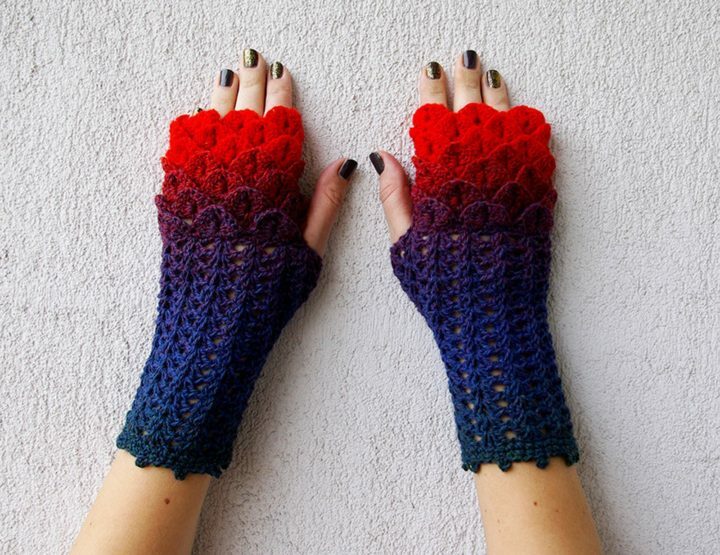 Whether you call them dragon scale gloves or mermaid gloves, these look awesome! 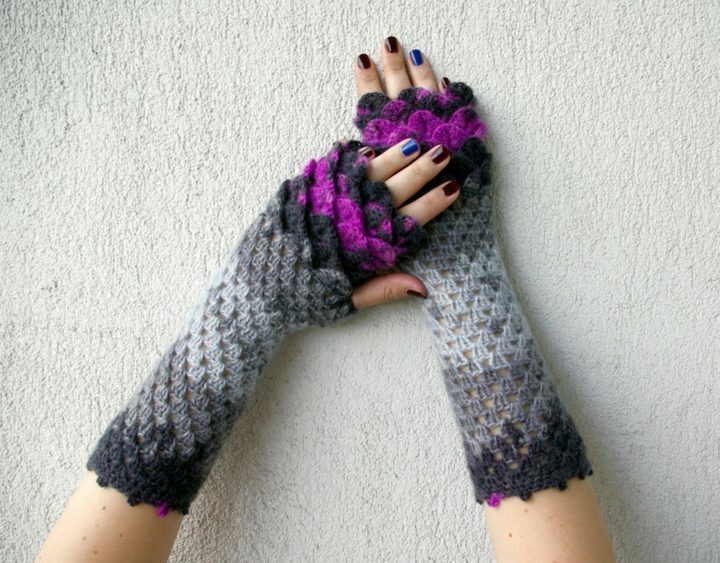 Please share this dragon scale gloves crochet tutorial or links to purchase them outright with your friends and family. 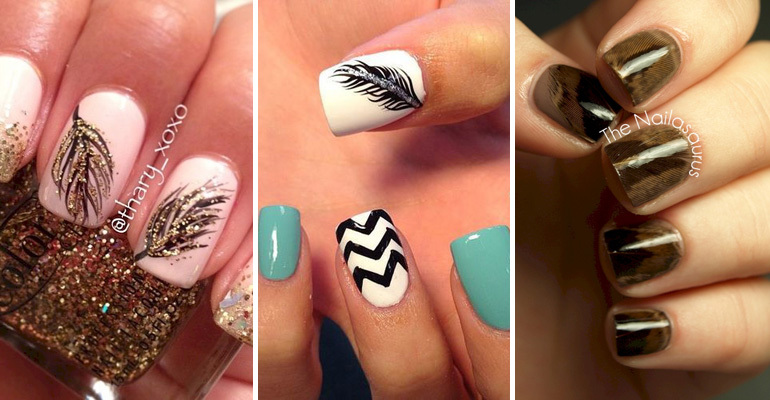 18 Feather Nail Art Designs That Look Amazing. I Can’t Believe How Great #13 Looks.